Dr. Jamal Benhamida is a pathologist and practices in San Francisco, California. He got his medical degree from University of Chicago Pritzker School of Medicine and has been in practice for several years. D. Benhamida did his residency in anatomic and clinical pathology at UCSF Medical Center. 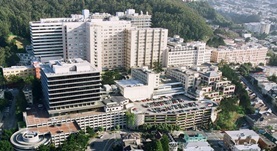 The hospital where Dr. Benhamida is affiliate is UCSF Medical Center from San Francisco, California. Dr. Benhamida is certified in anatomic pathology by American Board of Pathology.